One knight, known as the Sacrifice, is chosen each generation to journey to the heart of the Dark Citadel and battle the Deathless God King. None survive. But in sacrificing a young man each generation to be cut down by the Infinity Blade, the simple farmers of the Citadel’s neighboring villages are spared the God King’s wrath. With each bloodline, you get stronger. But how quickly can you defeat the God King? To this date, the Infinity Blade series remains a compelling showcase of iOS devices’ graphics prowess. Developer Chair Entertainment Group is really committed to keeping the series alive and has been putting out one huge content pack after another, helping extended the trilogy’s longevity. Now, I know some critics frequently slam Infinity Blade games for their lack of 360-degree movement, but I think these people are missing the point. At no point did the developers set out to create a free-roaming environment. Infinity Blade is about fighting and providing a good enough battling experience which motivates you to discover hidden paths, gain experience points in battles and progress your character. Dynamic single-player campaign—Spectacular 3D characters and environments powered by the award-winning Unreal Engine 3 bring to life the story of a lone knight’s pursuit to save civilization. Responsive and intuitive touch controls—Attack, dodge, block, and cast devastating spells – all with the simple swipe of a finger. Simple navigation—Easy to use, tap-to-move controls enable players to effortlessly navigate and explore the castle realm while searching for collectable items such as treasure, swords, shields, armor and other magical objects. Deep character customization— Dozens of Swords, Shields, Helmets, Armor, and Magic Rings to acquire and master – leveling up your character and increasing Attack, Health, Shield and Magic skills. Game Center—Achievements and Leaderboards, challenge your friends to multiplayer matches online via Game Center. The game’s compelling character progression system, coupled with RPG-like features, make it a joy to upgrade the weapons and your character’s magical abilities. All these features work together in conjunction with great graphics, atmospheric soundtrack and unique combination of sword-fighting and magic to make Infinity Blade, in my personal opinion, a must-have game on the iOS platform. The game won the 2011 Apple Design Award and more than 20 Game of the Year and Top App awards. Been wondering why all the fuss about this game but hesitant to purchase it? Now’s your chance to grab the original Infinity Blade free of charge during the July 4 weekend promo. The 624-megabyte download, requires an iPhone, iPod touch or iPad with iOS 3.2 or later. 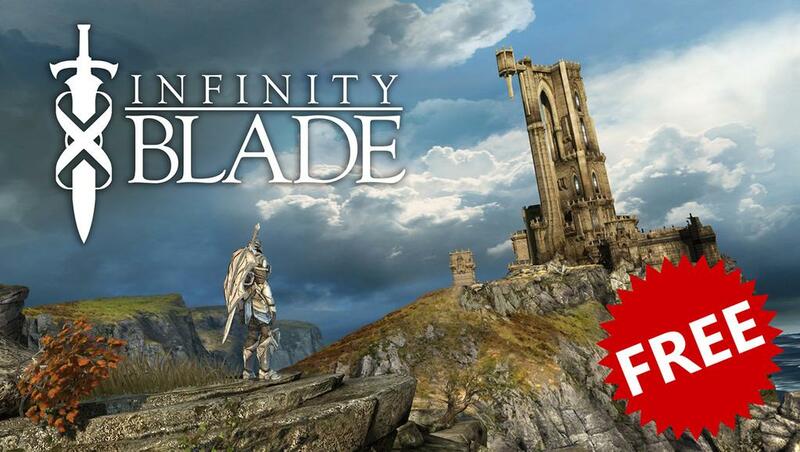 Grab Infinity Blade at no charge in the App Store. The game will be free this weekend only. 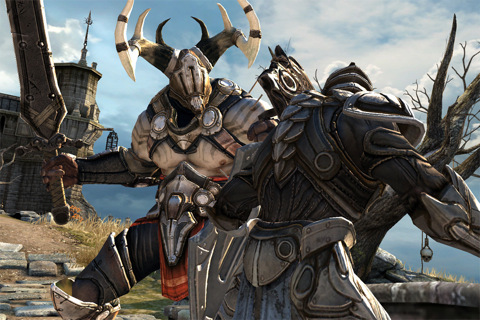 Sequels Infinity Blade II and Infinity Blade III for the iPhone and iPad are available in the App Store for $6.99 each.